Southern Mom Loves: 21 Spring Cleaning Hacks to Get Your Home Sparkling in No Time! 21 Spring Cleaning Hacks to Get Your Home Sparkling in No Time! Spring cleaning can be a relaxing time – after it's done, anyway. It's nice to look around and see how all your hard work paid off. The good news is there are spring cleaning hacks that will make your job easier. Whether it's tackling bathroom stains or cleaning the toilet, there are lots of hacks you can use to make things easier. 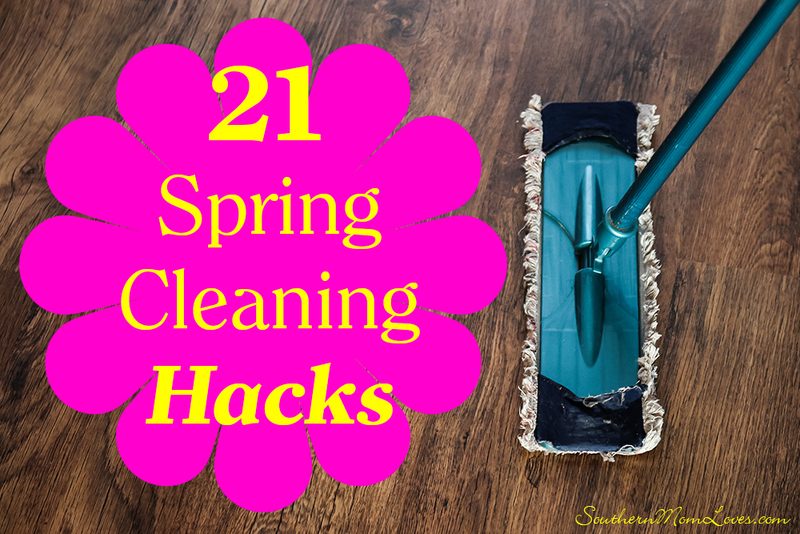 I've got 21 Spring Cleaning Hacks to Get Your Home Sparkling in No Time! 1. Clean and Freshen Your Microwave. You don't have to scrub the inside of the microwave for hours. Mix equal parts water and lemon juice and microwave for 3 minutes. Allow the mixture to set in the microwave for another 3 to 5 minutes until cool enough to remove. Dip a cloth in the mixture and wipe the walls of the microwave. Everything will easily wipe away. 2. De-Funk your Garbage Disposal. Cut a lemon into chunks, drop them down the disposal and turn it on. Lemon-fresh! 3. Get rid of Water Spots on Stainless Steel. 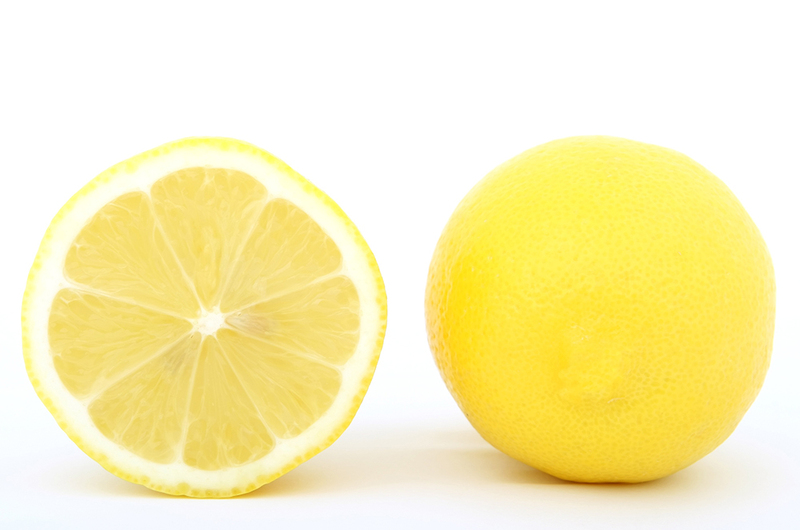 Cut a lemon in half and rub the inside along your bathtub and kitchen fixtures to remove water spots. 4. Tackle Tough Bathroom Stains. You don't need a lot of fancy cleaning products to tackle those tough bathroom stains. Use vinegar and baking soda to create a paste and scrub it over the stains. If the stains are really tough, allow the mixture to sit on the area for 10 to 15 minutes before scrubbing. 5. Wash Glass. Mix equal parts white vinegar and warm water in a spray bottle for a quick and effective window cleaner. 6. Remove the Buildup on Your Showerhead. Fill a baggie with vinegar and fit it over your showerhead, then fasten with a twist tie. Leave overnight to help remove the buildup from your showerhead that is clogging it up. 7. Descale Your Coffeemaker. Coffeemakers get buildup too, but you can descale them yourself with a half water, half white vinegar mixture. Pour it into the water reservoir and run it through the coffeemaker as you would if you were brewing a pot (minus the coffee grounds!) Once finished, discard the mixture and run another cycle with clean water to remove any residual vinegar from your machine. Your coffee will taste much better now! 8. De-grime Sliding Glass Door Tracks. Grime can build up in your sliding door tracks over time and can interfere with the operation of your sliding door. Use vinegar and a toothbrush to give them a quick scrub and an old cloth to wipe it right out. 9. 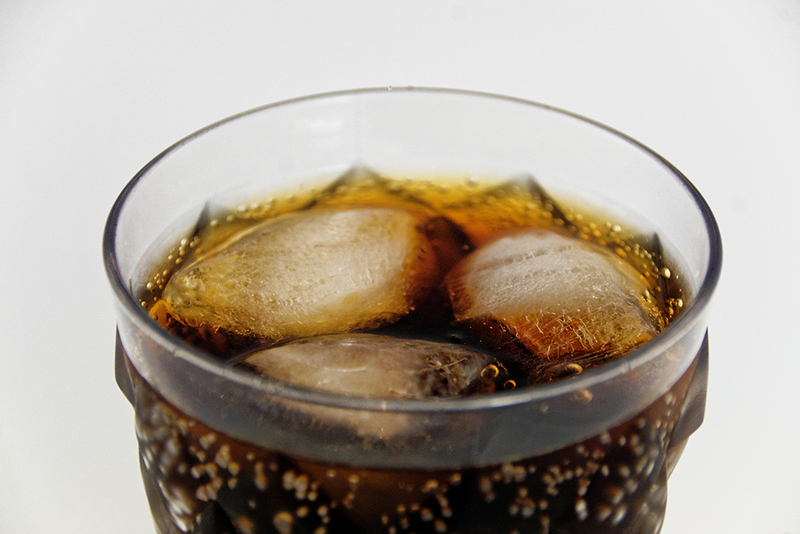 Clean Your Toilet with Cola. Want to break down the stains in your toilet without reaching for harsh chemicals? Pour a can of cola in your toilet before bed and allow to set overnight. The acid in the cola will help break down the stains. The next morning, give the toilet a quick brush and flush. That's all it takes. 10. Clean Dingy or Stained Linens With Dish Soap and Hydrogen Peroxide. Are your curtains, table clothes, and linens dingy? Do you have grass-stained jeans from working in your flower garden? Scrub the stains with a mixture of equal parts hydrogen peroxide and dish soap. 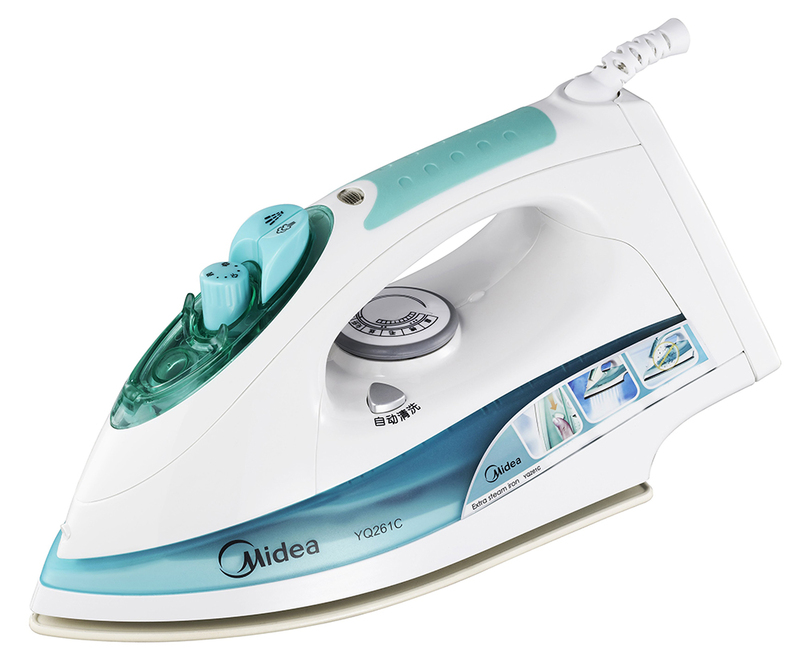 Hydrogen peroxide by itself can also be added to your washing machine to clean those dingy linens. It's the active ingredient in color-safe bleach and will save you tons of money. 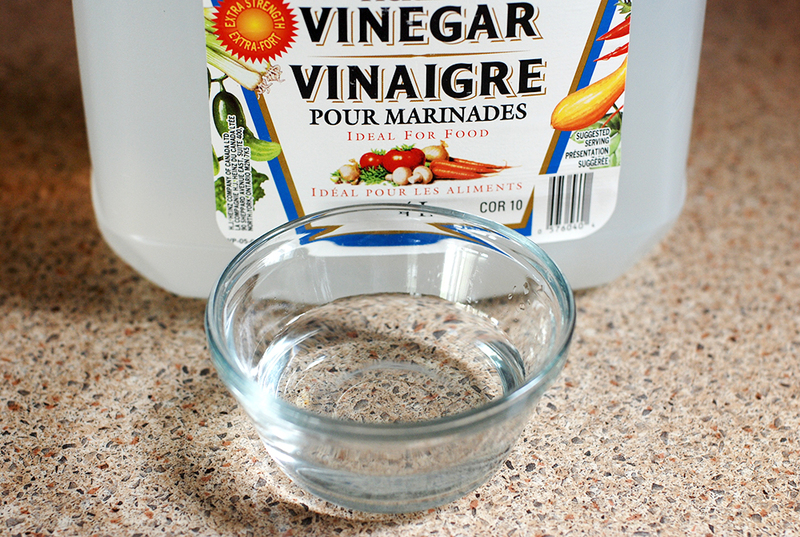 Vinegar can also be used to get your whites whiter and brighter. 11. Dust Blinds with an Old Sock. To get in-between those slats in blinds, put an old sock over your hand and run it through them. Remember to work top to bottom when dusting. 12. Blow Dry Water Rings on Furniture. If you've got water rings on your furniture, try using a blow dryer before you try refinishing methods. 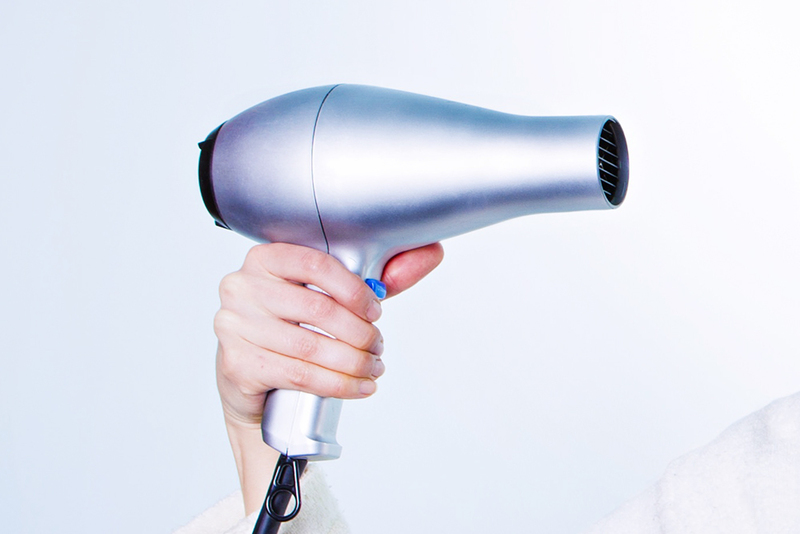 Hold a blow dryer on high heat over the water rings until you see them disappear. Rub on some lemon oil or olive oil to help recondition the wood afterward. 13. Get Rid of Shower Door Buildup with a Dryer Sheet. Soap scum on shower doors can be really hard to remove. If you have dryer sheets on hand, wet the dryer sheet and rub the glass with the dryer sheet to remove the soap scum. You can also use this tip on bathroom fixtures. The best part is that you can use used dryer sheets for this tip. 14. Keep Baseboards Clean with a Dryer Sheet. One neglected spot in homes are the baseboards. They're a pain to clean, but once done can make a big difference in your home's appearance. Once they're all clean, rub them down with a dryer sheet. It will help repel dust and pet hair, so your baseboards will stay cleaner, longer. 15. Get Candle Wax out of Your Carpet with an Iron. If you've spilled candle wax on your carpet, you may think you'll have to cut it away. Try ironing it first. Use a butter knife to remove as much of the hardened wax as you can, then lay an old towel over the remainder of the wax. Iron over the towel and it will melt the wax while the towel soaks it up. If there is a color stain left on the carpet, try dabbing at it with rubbing alcohol on a clean cloth. 16. Remove Candlewax from your surfaces with a Spatula. Use a plastic spatula to scrape candlewax off of your tabletops or other surfaces. It won't damage the finish and you'll be done in no time. 17. Get Scuffs off of Walls with a Magic Eraser. You may or may not have tried the Mr. Clean Magic Erasers yet, but they are magic for your walls. Crayon, scuffs, dirt build-up, and stains can all be rubbed away with it. 18. Clean Lapmshades with a Lint Roller. The easiest way to clean those dusty lampshades is with a clean, sticky lint roller. 19. 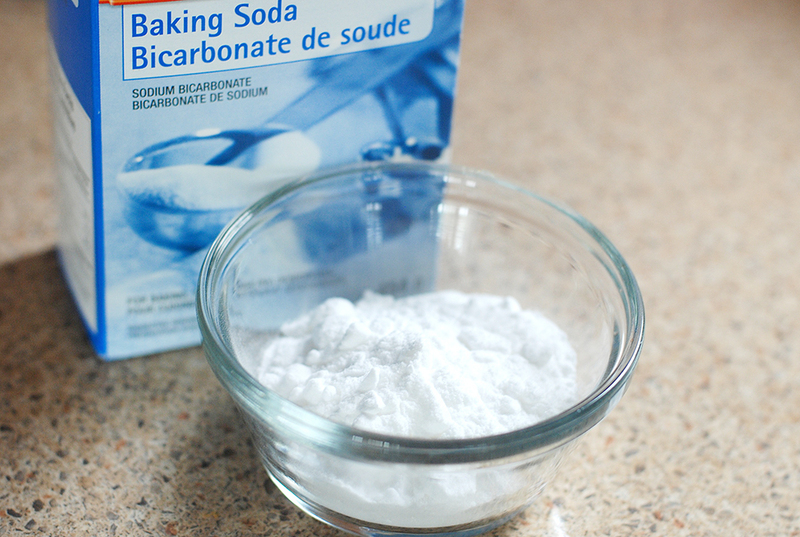 Freshen Your Mattresses with Baking Soda. Sprinkle baking soda over mattresses to help refresh and deodorize them. Let it sit for a few minutes, then vacuum. You can use this trick on your carpets too. 20. Clean Bath Toys in the Dishwasher. Kid's bath toys are prone to mildew, so get them clean again by tossing them in the dishwasher. Just remember to lower the heat setting before turing it on. An alternative is to fill the bathtub with hot water and add bout a cup of bleach. Let the toys soak in the bath for about an hour, drain, and rinse. 21. De-germ Your Dish Sponge in the Microwave. Dish sponges are prone to germs, but if it's not yet at the end of its life, you can pop it in the microwave and heat on high for a minute to kill any lurking bacteria. Don't try this if your sponge has a metal brillo-type pad on it, and let it cool before removing. Spring cleaning doesn't have to be hard. These tips will make your chore list much easier to conquer. Whether you're cleaning the shower door or the microwave, you'll love these tips! Have you begun your spring cleaning? What are your favorite tips? I love to read your comments!